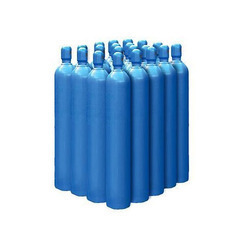 We are the leading manufacturer of Laser gas, Laser Mixture gas,Liquid State Helium, Liquid State Nitrogen and many more. Krypton gas is monatomic, odourless, colourless, tasteless, nontoxic, chemically inert, inorganic. KRYPTON content in the Earth atmosphere is 0,000114% by volume and 0,0003% by weight. Neon is actually abundant on a universal scale the fifth most abundant chemical element in the universe by mass, after hydrogen, helium, oxygen, and carbon.Neon is monatomic, making it lighter than the molecules of diatomic nitrogen and oxygen which form the bulk of Earth's atmosphere; a balloon filled with neon will rise in the air, albeit more slowly than a helium balloon. 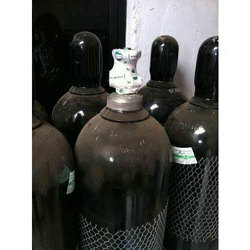 We are offering Xenon gas to our Clients. Space industry, Medicine, Lighting, Electronics, Chemical technology, Gas ionic laser, Exotic diving gases, Thermal mirrors and windows, Gas mixtures for various application Description of Xenon, Xenon gas is monatomic, odourless, colourless, tasteless, nontoxic, chemically inert, inorganic. 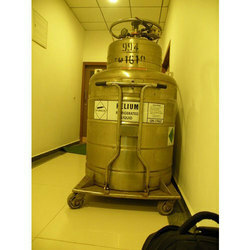 Liquid helium is inert, colourless, odourless, non-corrosive, extremely cold, and nonflammable. 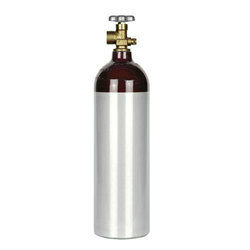 Helium will not react with other elements or compounds under ordinary conditions. 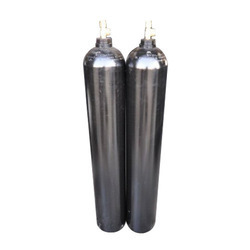 Since helium is non-corrosive, special materials of construction are not required. However, materials must be suitable for use at the extremely low temperatures of liquid helium. Humans possess no senses that can detect the presence of helium. Although helium is nontoxic and inert, it can act as a simple asphyxiant by displacing the oxygen in the air to levels below that required to support life. 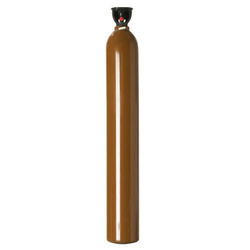 Inhalation of helium in excessive amounts can cause dizziness, nausea, vomiting, loss of consciousness and death. Death may result from errors in judgment, confusion, or loss of consciousness that prevents self-rescue. At low oxygen concentrations, unconsciousness and death may occur in seconds and without warning. Personnel, including rescue workers, should not enter areas where the oxygen concentration is below 19.5% unless provided with a self-contained breathing apparatus or airline respirator. 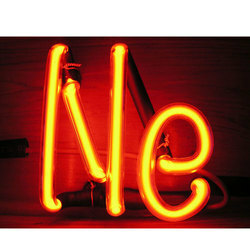 Helium is one of the noble gases of group O in the periodic table. It’s the second lightest element. The main helium source in the world is a series of fields of natural gas in the United States. 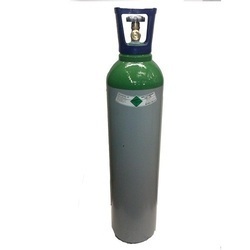 Helium is a colourless, odourless, insipid and non-toxic gas. It’s less soluble in water than any other gas. It’s the less reactive element and doesn’t essentially form chemical compounds. The density and viscosity of helium vapour are very low. The terms conductivity and the caloric content are exceptionally high. Helium can be liquefied, but its condensation temperature is the lowest among all the known substances. Liquid State Nitrogen is nitrogen in a liquid state at a very low temperature. It is produced industrially by fractional distillation of liquid air. 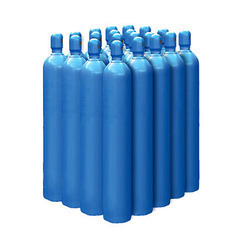 Nitrogen blanketing is used to protect flammable or explosive solids and liquids from contact with air. Certain chemicals, surfaces of solids, and stored food products have properties that must be protected from degradation by the effects of atmospheric oxygen and moisture. Protection is achieved by keeping these items in a nitrogen atmosphere. "Inerting" or "padding" are other terms used to describe the displacement of air and nitrogen blanketing. Refineries, petrochemical plants and marine tankers use nitrogen to purge equipment, tanks and pipelines of dangerous vapours and gases (for example, after completing a pipeline transfer operation or ending a production run) and to maintain an inert and protective atmosphere in tanks storing flammable liquids. Materials become hard and brittle when cooled by to very low temperatures. This property permits the removal of “flash” or “fins” on cast plastics and rubber. The castings are cooled by liquid nitrogen and the flash broken off by mechanical action. The gas is approximately 1.4 times as heavy as air and is slightly soluble in water.